Photo by Cari Eggleston USFWS, Guam Wildlife Refuge. 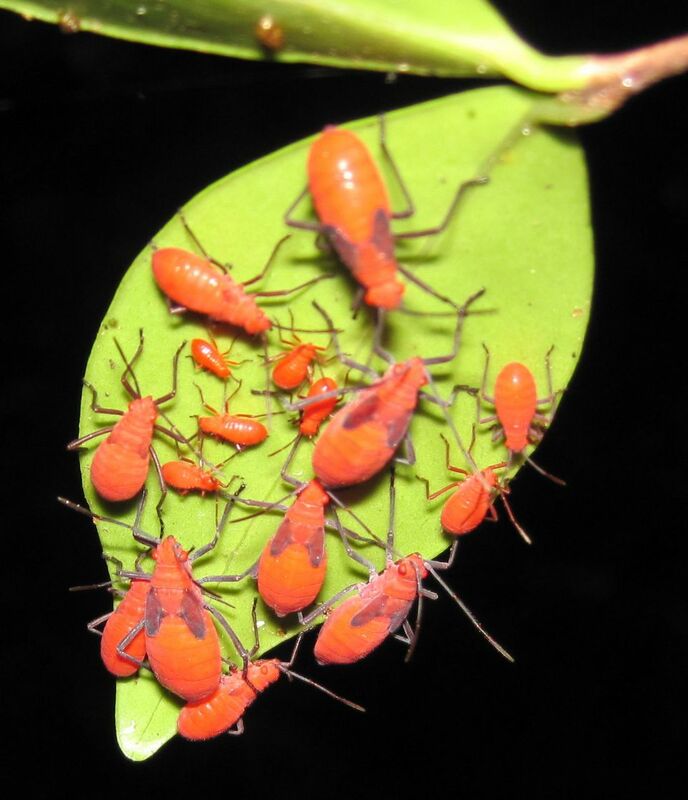 Here we have a cluster of Leptocoris vicinus nymphs on Eugenia from Guam. The nymphs shown here differ in color from the ones we have taken photos of in Australia and Taiwan. 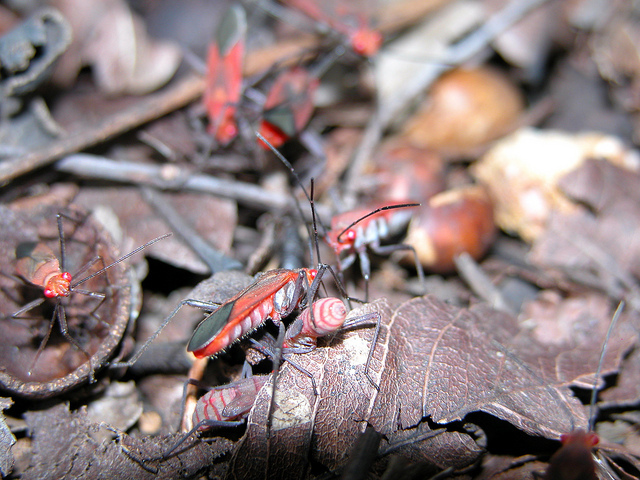 The nymphs, and adults (shown below), lack the white coloration on the abdomen. Leptocoris vicinus has a large range, spanning from India to Japan, south to Australia. The variation in color may be a result of habitat differences (e.g. different predators) or due to differences in genetic variation of populations no longer connected. Random changes happen faster in smaller populations such as those founds on some Islands, and which could ultimately account for the striking orange nymphs on Guam. Physical description: Dorsum completely red except for black membrane and blackish clavus (sometimes surrounding area as well) that forms a distinct 'v' shape around scutellum; pronotum may have black markings. Ventral side black with red margins around abdomen. Coxae and appendages are black. Notice the white markings on the nymphs and adults below, which are absent in the image above.